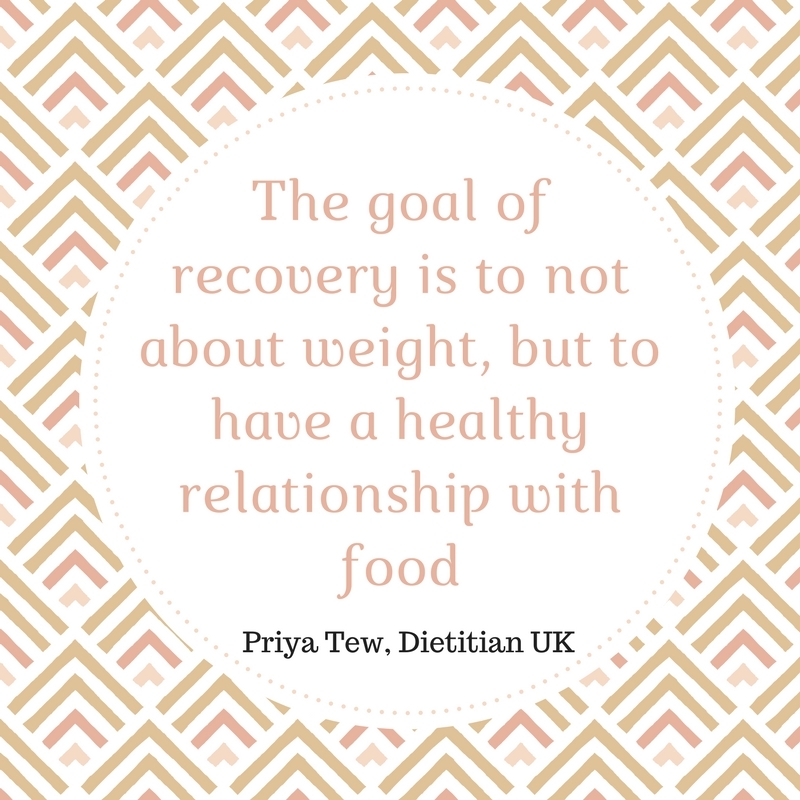 The goal of recovery is not about weight. I’m constantly on a journey with my clinical practice and dietetic thinking. One of the keys to a good health professional (or any professional) in my mind is one who constantly evaluates their practice, the evidence, the new trends and uses this to shape how they work and think. I started work as an eating disorder dietitian in 2007. On my first day I was handed a box file that contained a few black and white print outs of out of date dietary information and told those were all the resources. There had been no dietitian for 5 years. I built up the resources, my knowledge and educates the team as well as myself. As a lone dietitian on a psychology based team it was at times very tough but it was the making of me and I loved it. When I left that job I had experience of helping run a day care programme, groupwork, meal support, out patients, inpatients and I had gained a whole new language. I am so thankful for those years. Now as someone who works in the private eating disorder field I am constantly working to better the support I offer. Not so that I am better, but because I want to do myself out of a job. I want to see my patients recover, I want them to have a good relationship with food, I want them to no longer need my support. We live in a weight focused culture. I personally struggle with this. I would love to not weigh anyone who comes to clinic, yet most of the time I have to. Working with people who are very low weight it would be negligent of me to not know what their weight is doing. It has to be a focus, but I don’t want it to be the primary and only focus. So we get it out of the way, debrief and then move onto other areas. Weight is never an easy topic and is certainly not foolproof. The simple idea of eating so much leading to so much weight gain every week just isn’t that simple in the community. There are so many factors than can complicate the picture. Activity levels, mental energy used in work/study, looking after children, anxiety etc… So focusing on the weight alone can make it slow, hard and distressing. Instead of a weight focus only, I like to work with people looking at their relationship with food. We may look at the their food beliefs, busting any incorrect ones. Ideas such as carbohydrates are fattening or I shouldn’t eat fat are common ones. 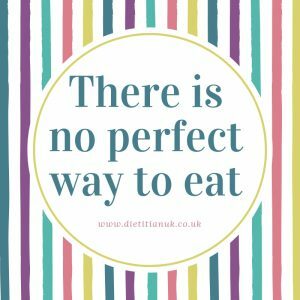 It doesn’t always work but I try to stay away from calories and strict meal plans and instead focus on eating regularly and including a good balance of foods at meals. No food is off limits, no food is good or bad. Switching the focus from weight to health has always been one of my aims. Instead of what foods you need to gain weight I look at why food groups are good for your health and how restriction is unhealthy and can cause physical harm. Finding out what foods people have been avoiding and why, is always a good place to start. As people make progress it can be so liberating to weigh less often and incorporate more freedom into the meal plan. Learning to listen to those signals of hunger and fullness can be very scary and overwhelming at first but it opens up a whole new future and a way of eating that will see you through life, with no need to restrict, binge or diet every again. Let’s make that the goal.